There’s something eye catching about birds that have red plumage and also often a bit of a fiery temperament to go with that colouration. The Red Headed Finch is a great example of the distinctive looking bird but is generally a little more sociable than the closely related Cut throat finch. 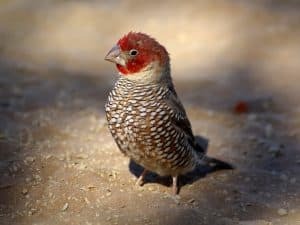 Also known as the paradise finch, the Aberdeen finch or the red headed weaver for some reason, the Red Headed Finch (Amadina erythrocephala) is one of two members of the Amadina family of Estrildid finches with the Cut throat. The natural habitat of these birds is across parts of southern Africa including Angola, Botswana, South Africa, Namibia and Zimbabwe. It tends to live on dry savannah areas and is a ground feeder, sharing territory with other birds and visiting the same watering holes. They are also seen around farmland and farm yards across their habitat area. Their diet is based on grass seeds and they will also eat insects such as termites when available. 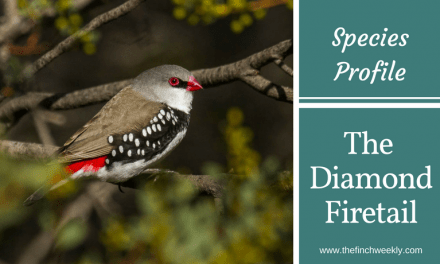 One of the first points in favour of keeping the red headed finch is that the species is sexually dimorphic – in other words, the male and female birds are visually different. So, there are no tricky problems getting a pair! Both birds have striped body feathers with light brown backs and white markings while the wings and tail have black edges. 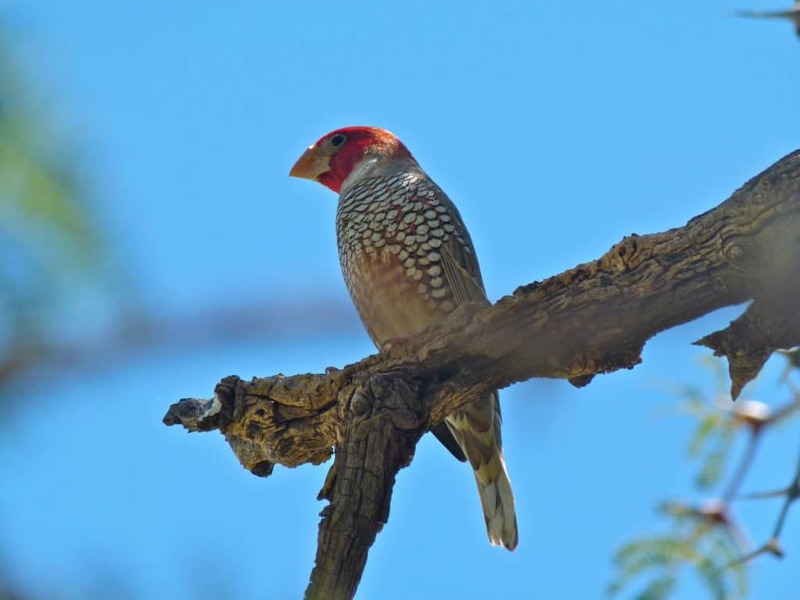 The distinctive red head is only found on male birds while the female has a light brown head. 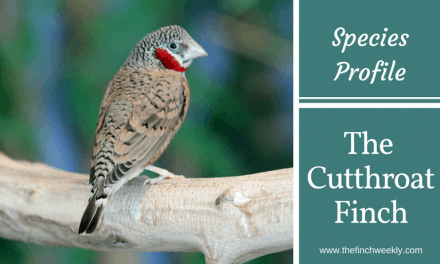 The birds are larger than their cousins the Cut throats and are similar in size to a Java Finch. This larger size does mean they need a good-sized cage or flight to call their home. 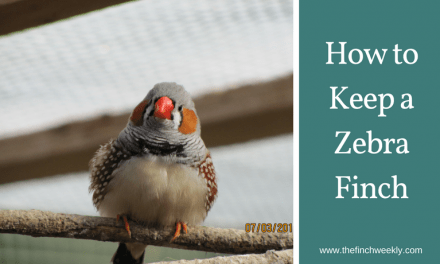 There seems to be mixed opinions about keeping them with other finches – some people recommend keeping them with similar sized birds while other say they are fine in a mixed aviary of all finch sizes. They can cross breed with the Cut throats so it is worth keeping them separate – hybrids can be fertile but obviously, purity of species is most desirable. In terms of diet, they will be happy with a good foreign finch mix but breeders also recommend offering some larger seeds such as larger millets found in parakeet mixes. Egg food is best offered and they will take live food such as mealworms and waxworms although they are not essentials for breeding. Grit, cuttlefish, iodine or other calcium sources should be available and they will enjoy millet spray and soaked or sprouted seeds. They are known to be prone to calcium and Vitamin D3 deficiencies so make sure you use supplements if not receiving in their food – these can lead to egg-binding. Breeders say that these birds can be quick to nest but also quick to abandon so nest inspections are not recommended. They will often use nesting boxes with as little as some sawdust in them while other birds weave elaborate nests with grasses and coconut fibres. 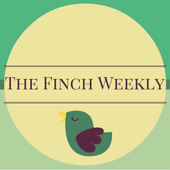 Larger finch nesting boxes are recommended due to their size and they will often line the nest with white feathers. Typically, the female lays 4-8 eggs and the larger size is why they suffer problems with egg binding. Both birds will incubate after the second to fourth egg is laid and they incubate for around two weeks. Chicks are black and have a downy fuzz with a large, gaping mouth with yellow-white flanges. They fledge at around three weeks and take about the same period of time to wean. Young males will be visible early on with red feathers coming through on their heads. If needed, Bengalese can be used to rear young if they have been abandoned and are in danger. But because the begging behaviour and look of the chick is very different, the best results come from Bengalese who haven’t yet reared their own young – otherwise they might realise that these aren’t their chicks! 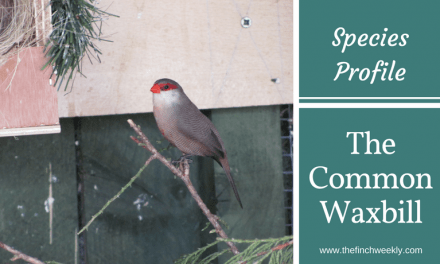 Mexican House Finch – It’s Not a Sparrow!